Inspired by the paintings of Takashi Murakami. 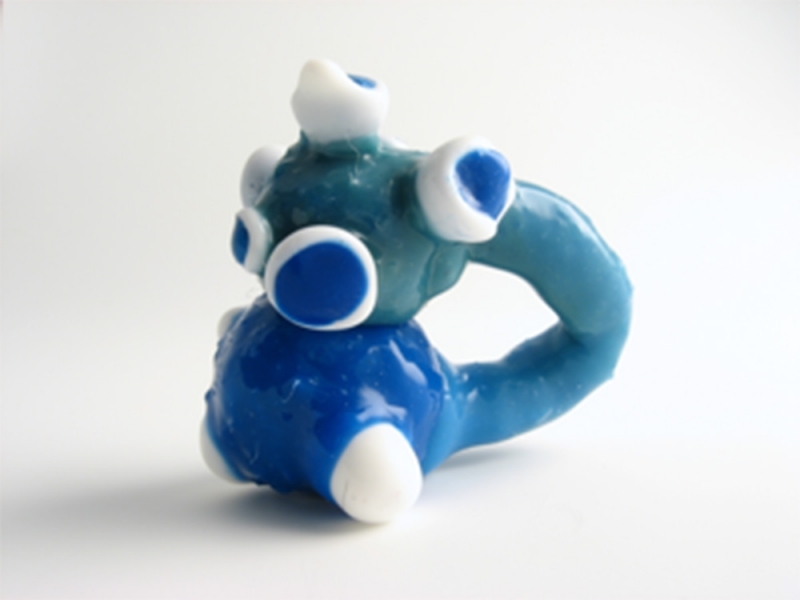 Cristina Dias employs various unusual jewelry materials including rubber and silicone, creating jewelry with unexpected textures. Dias was a student of Joe Wood at the Massachusetts College of Art and Design. 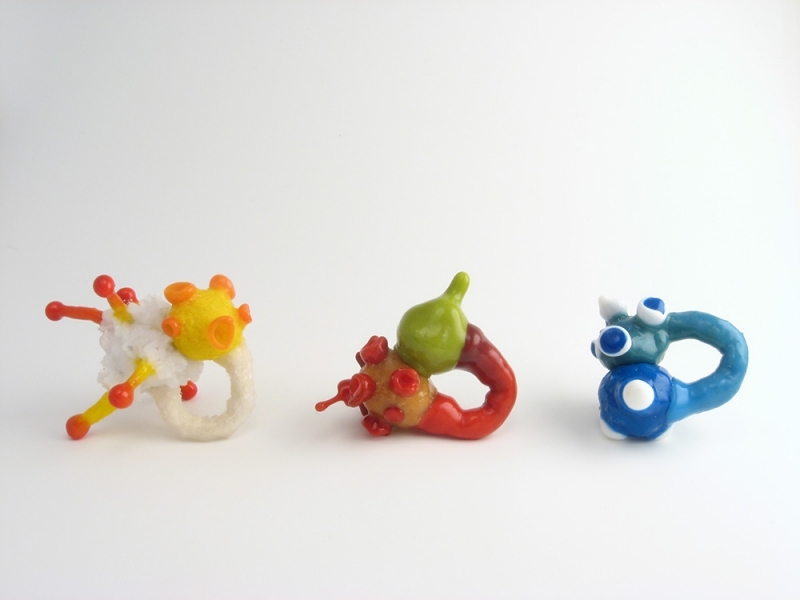 Criaturas is an ongoing series of objects and jewelry inspired by tantalizing organisms. Each piece is a hybrid of an extensive collection of visual impressions with opposing qualities: attractive and repulsive, beautiful and grotesque, familiar and yet exotic. I strive to translate these qualities into objects that are ambiguous in form and color as to avoid the allocation of identification, therefore asking the audience to take a fresh look at surfaces, textures, colors and forms combined into whole new entities. The use of materials such as wire, fibers and magnets embedded in the pigmented silicone allows for my work to be flexible, colorful and sometimes wearable in unexpected ways. A brooch or necklace composed of three or more parts, for example, allows the wearer to rearrange the piece in different ways or to wear fewer parts at a time. 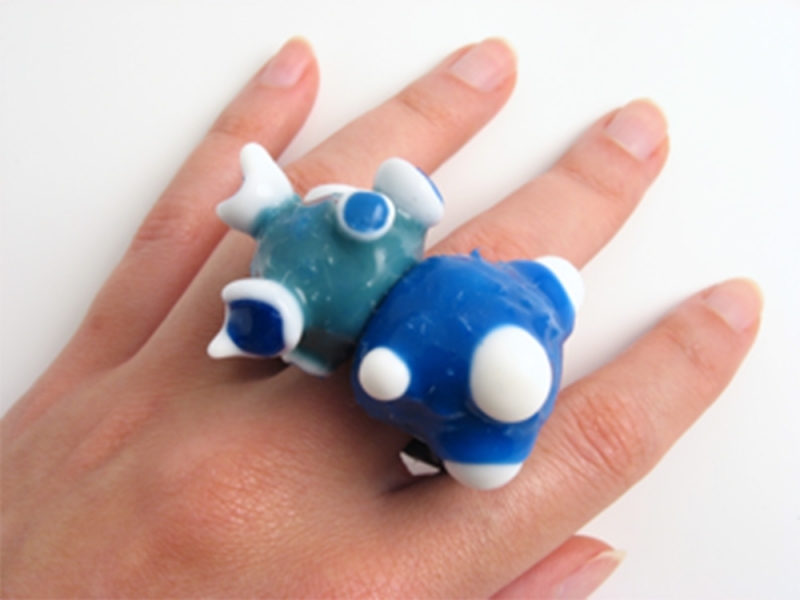 The use of magnets replaces conventional clasps and adds to the playfulness and versatility of each wearable creature.